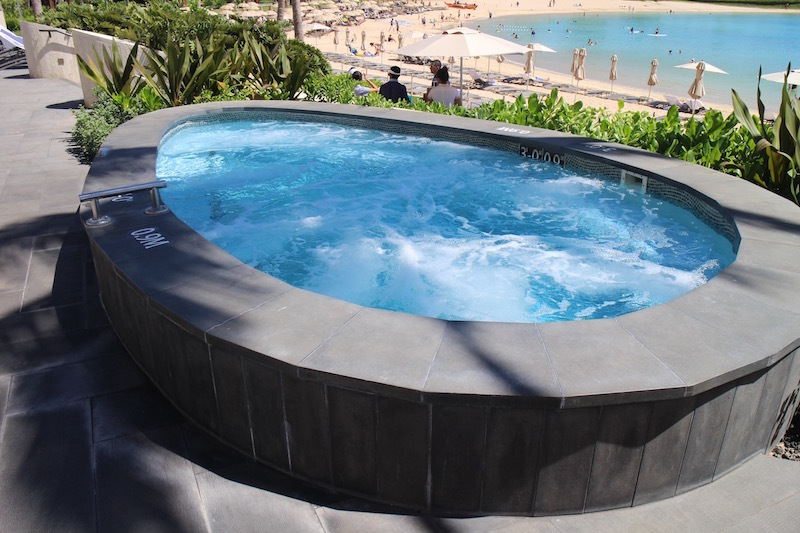 The Four Seasons Oahu is an exclusive five-star beach resort balancing classic Hawaiian style with one-of-a-kind luxury. 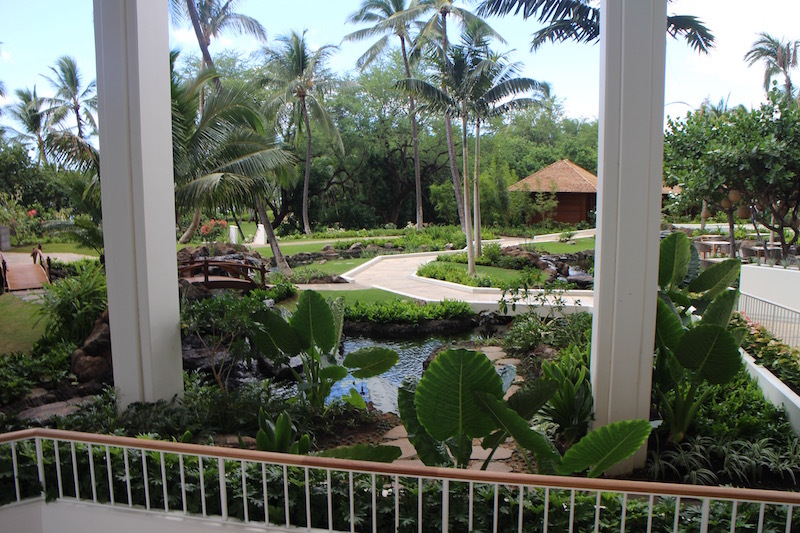 Its elegant accommodations offer truly breathtaking views of the Pacific Ocean and Ko Olina’s turquoise-blue waters with white sand beaches. 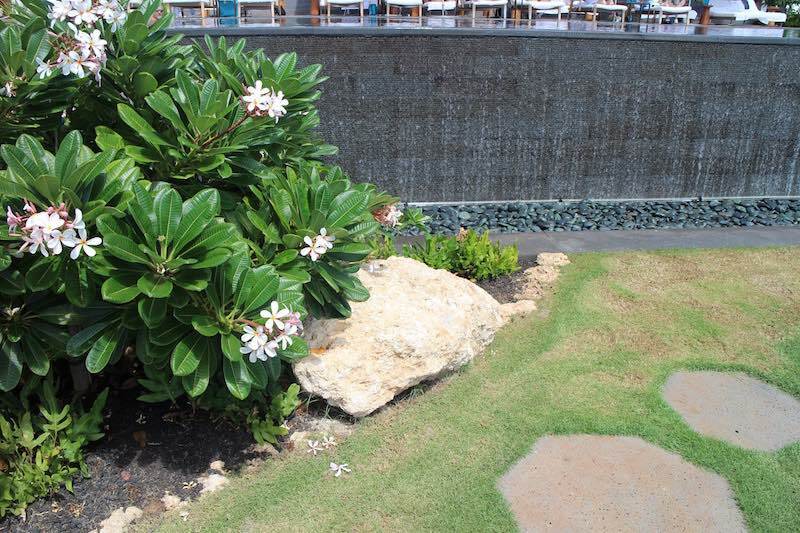 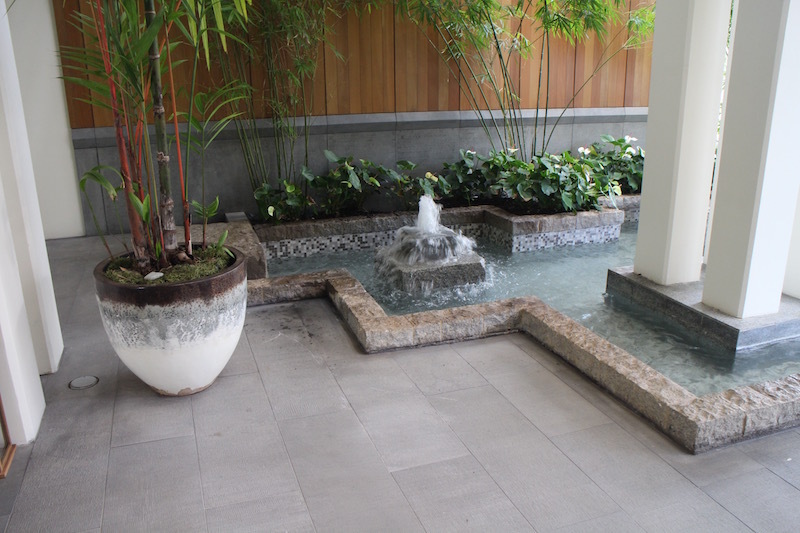 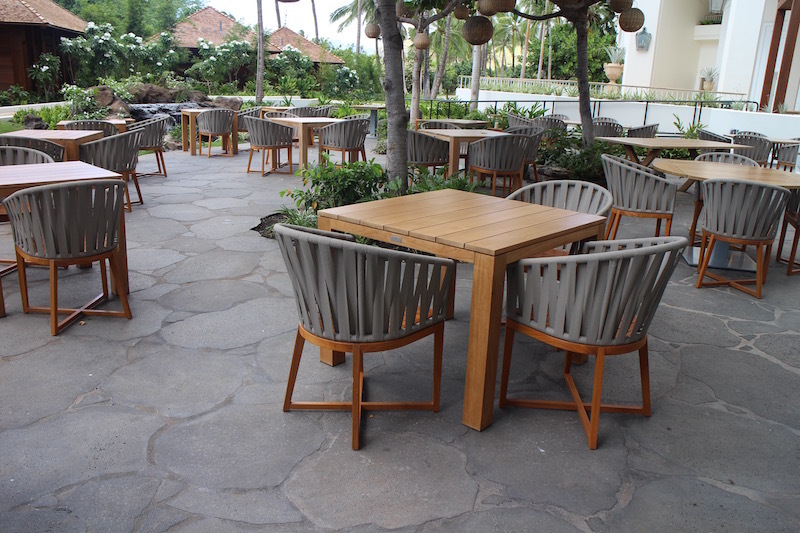 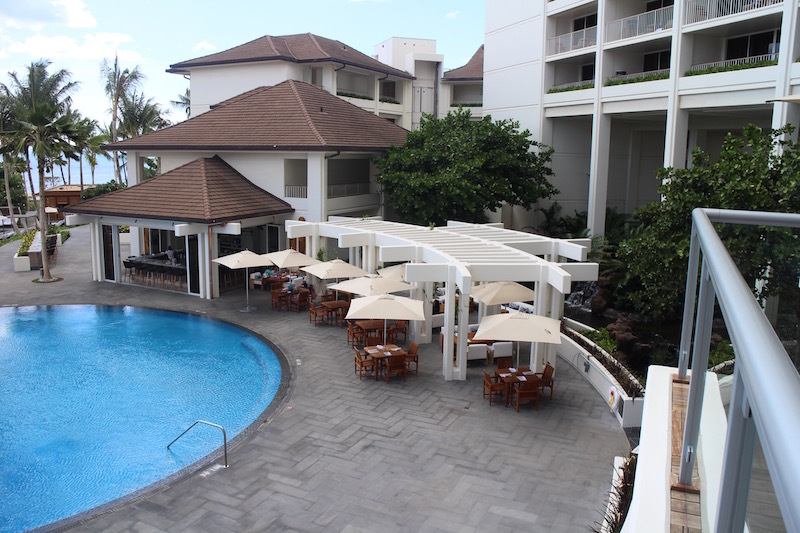 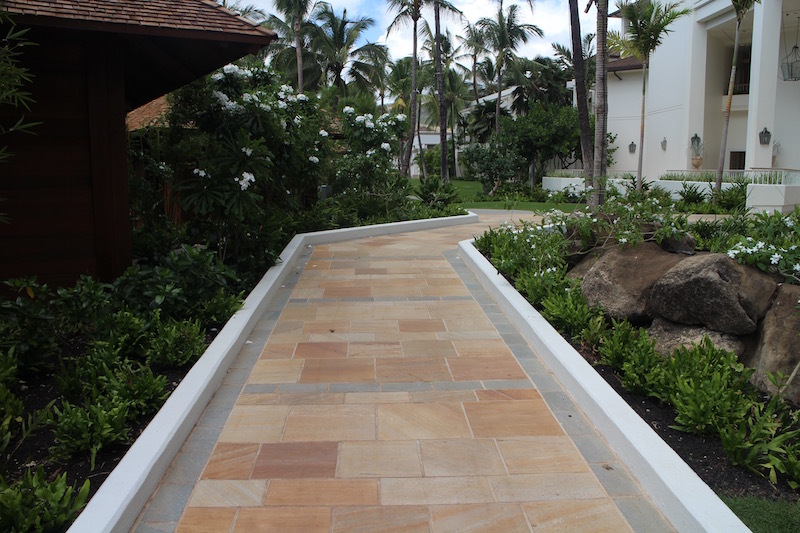 Pono Stone supplied all the basalt paving that surrounds the pools and fountains, as well as the natural cut basalt paving used for the pathways and dining areas. 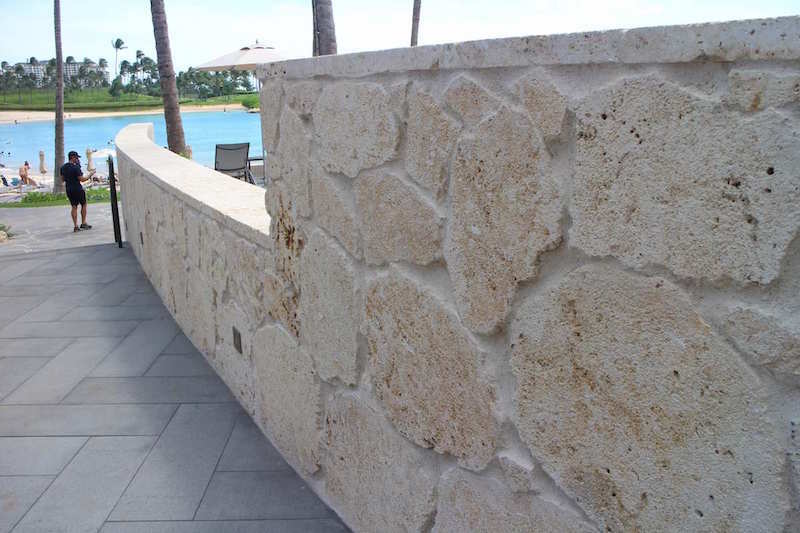 Coral was provided for some feature walls in the lounging and garden. 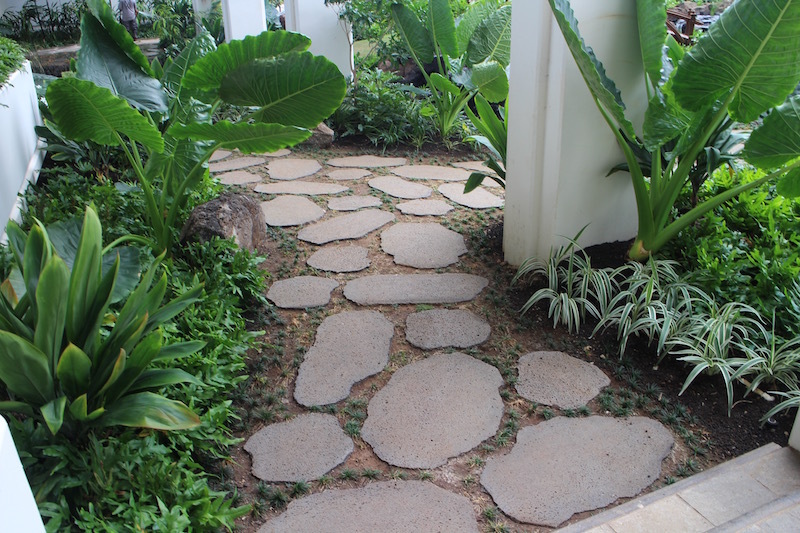 The garden paths that enhance the landscaping design are Quartzite in Brazil Noble gold which consists of multiple colours - yellow, golds, beige, tan, almond, orange.